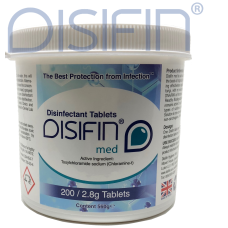 Are safe and unique surface disinfectant on the basis of organically bound chlorine, with a long-lasting effectiveness against bacteria, viruses, yeast and fungi, with no resistance formation by destroying the DNA/RNA of microbes. 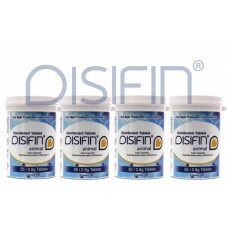 Readily Biodegradable and aquatic safe. 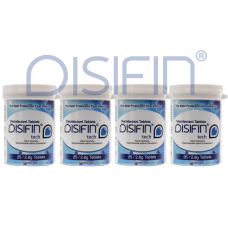 The solution remains active for up to 4-8 weeks & can be used for all types of surfaces, plastics, metals, stainless steel. 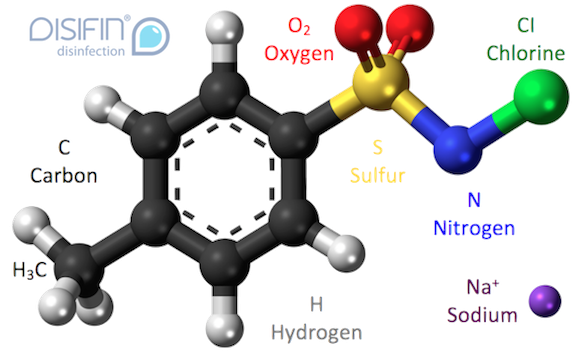 Solution is non-corrosive, non-cytotoxic, non-mutagenic, non-carcinogenic. 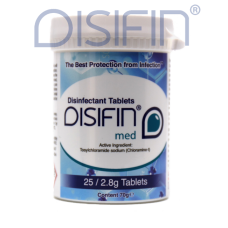 Free from aldehydes and phenols. 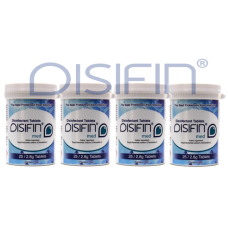 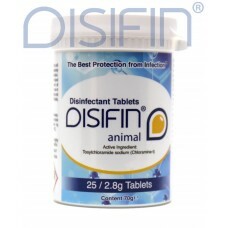 Small Animal and Pet Surface Disinfectant Tablets 4 x Disifin Animal Tub of 25 tabs (100 Tablet..
Med & Dental Surface Disinfectant Tablets Disifin med (Tub of 25 tablets) = 12.5 litres per..
Med & Dental Surface Disinfectant Tablets Disifin med (Tub of 200 tablets) = 100 litres per..
Med & Dental Surface Disinfectant Tablets 4 x Disifin med Tub of 25 tabs (100 Tablets..
Tech Surface Disinfectant Tablets 4 x Disifin tech T..